Sharon was born in Jasper, Indiana, on January 30, 1956, to Jerome and Clara (Scherle) Streicher. She married Steve Fuhs on June 18, 1977, in Holy Family Catholic Church in Jasper, Indiana. Sharon was a 1974 graduate of Jasper High School. She was a cook for Precious Blood Catholic School and for Tri-Cap for many years. She was a member of Precious Blood Catholic Church, Jasper German Club, and the VFW Auxiliary. Sharon enjoyed shopping, making crafts, and was an avid St. Louis Cardinal's Fan. Surviving are her husband, Steve Fuhs, Jasper, IN, two sons, Stuart (Dana) Fuhs, Jasper, IN, and Spencer (Brittany) Fuhs, Jasper, IN, one granddaughter, Lainey Fuhs, one sister, Rosemary (Marlon) Woolsey, Fishers, IN, two brothers, Danny (Liz) Streicher, Avon, IN, and Ronnie (Annette) Streicher, Jasper, IN. Preceding her in death besides her parents is one nephew, Matt Woolsey. 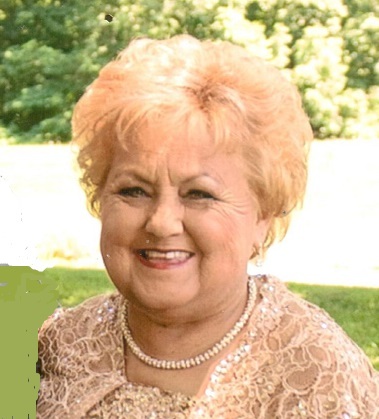 A Mass of Christian Burial for Sharon C. Fuhs will be held at 10:00 a.m. on Wednesday, January 16, 2019, at Precious Blood Catholic Church in Jasper, Indiana, with burial to follow at a later date. A visitation will be held from 1:00-7:00 p.m. on Tuesday, January 15, 2019, at the Becher-Kluesner Downtown Chapel in Jasper, Indiana, and one hour before services at the church on Wednesday from 9:00-10:00 a.m.
Memorial contributions may be made to Precious Blood Catholic Church, American Diabetes Association or to Davita Dialysis Center.